Has it really been over a year?? 2014 was pretty rough but we are finally back in the swing of things. 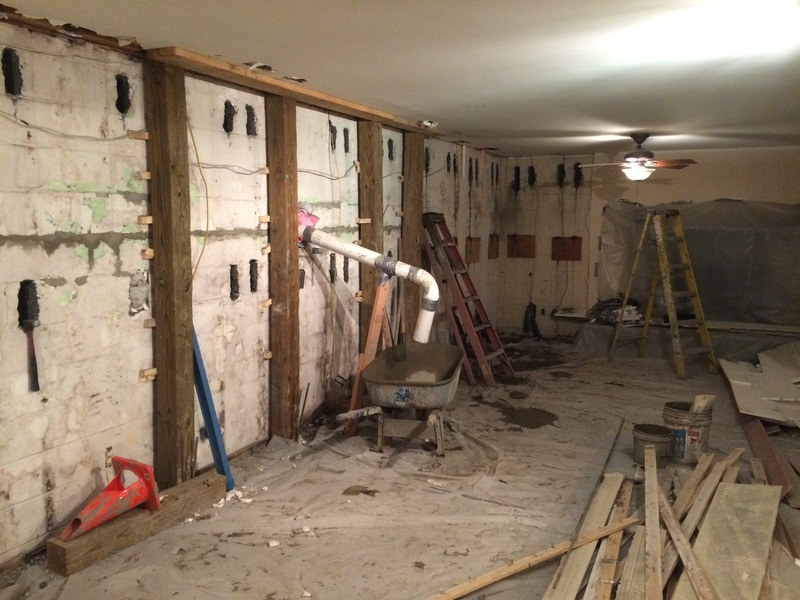 The year ended (and 2015 began with) foundation repair that was supposed to take 4-6 weeks. After a few hiccups, slow workers, and revised plans, the project is finally complete 6 months later…i think (the contractor has yet to come get his final payment). In the process, our entire front yard was destroyed, including our brick patio, all landscaping, and grass including the property we own across the street. 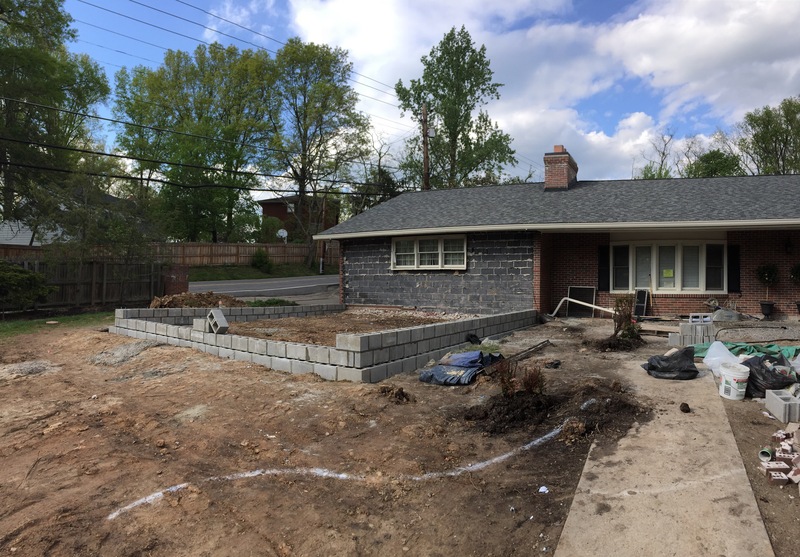 Now that the basement has been dry-walled (still needs primer, paint, and trim) and the soil has been put back in order, we’ve decided to take on our next (and final) big project for this house, a garage addition. Since our property has been thoroughly destroyed, why stop now? Background on our current driveway/garage: this house currently has a (comfortable in 1965) 2 car garage. Although it is ‘comfortable’ it’s very small compared to the garage we grew accustom to at our old house. Ryan’s large Sequoia and my 4 door sedan barely fit in the space together (let alone our bikes, lawn equipment, etc..). 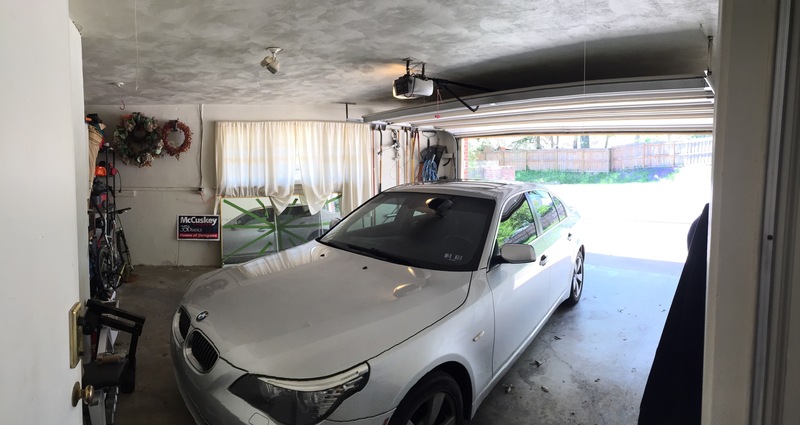 We never realized how big our old garage was until we moved into this house. We could probably live just fine with a small garage (or buy smaller cars), but the heart of the problem is safety. We live on a short dead end road with 8 houses, but we also live on a fairly traveled state road. The main road leads to the state forest and cars/trucks/motorcycles FLY through the curvy hills. Our biggest challenge is that our current driveway/garage is on this state road. Every day we are forced to blindly back onto traffic. We cross our fingers there is no vehicle flying down the road (usually at 50 miles an hour although the speed limit is only 30) ready to hit us. 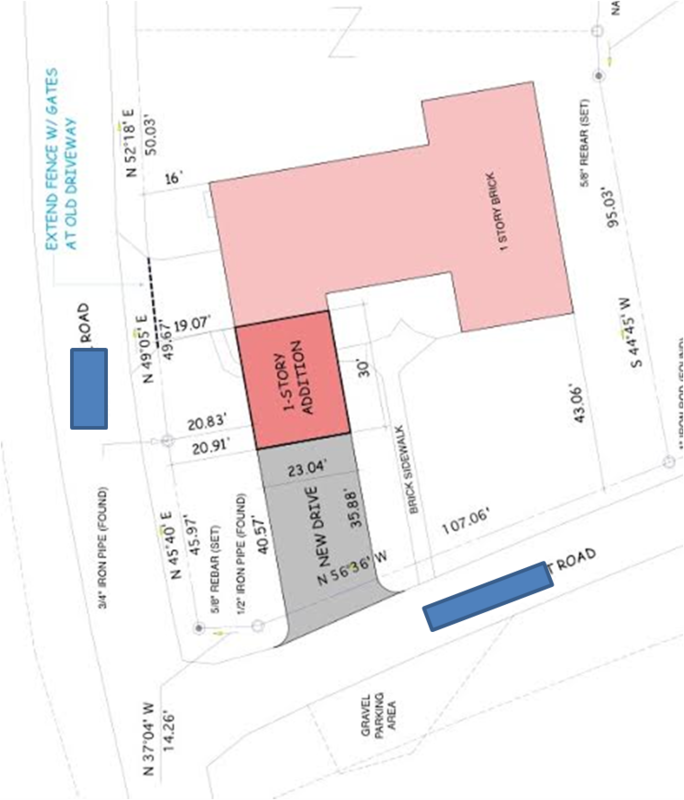 We hired the architect that designed our master bedroom to put together a possible plan to change the location of our driveway. He completed a study and it revealed we have approximately 3 seconds from the curve of the road to make it out of our driveway before a traveling car has the opportunity to hit us as we back out. Our architect also informed us we would need a variance from the city before we could even move forward with designing plans. With his help we filled out applications, hired land surveyors, and applied to the city for the possible variance. Over the summer he accompanied us to a hearing were they determined yes, we could move forward with our desire to move the driveway and repositioning it to the front of our house instead of the side. Little to our knowledge, we only had 1 year from the day we received the official approval to complete this project. 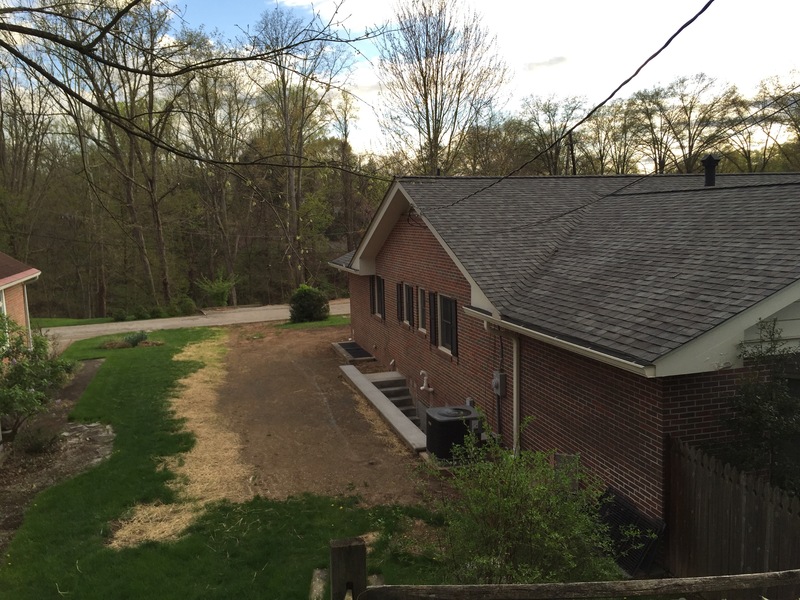 Our architect drew up a plan that extended our garage 30 feet towards the front of the house. We ended up scaling it back to 28 feet. It will essentially be a big box (no attic) with two single garage doors, a man door on both sides, and lights/electrical. The front wall of our current garage will get knocked down (and supported by a LVL beam) and the space will open up to a 4 car garage. 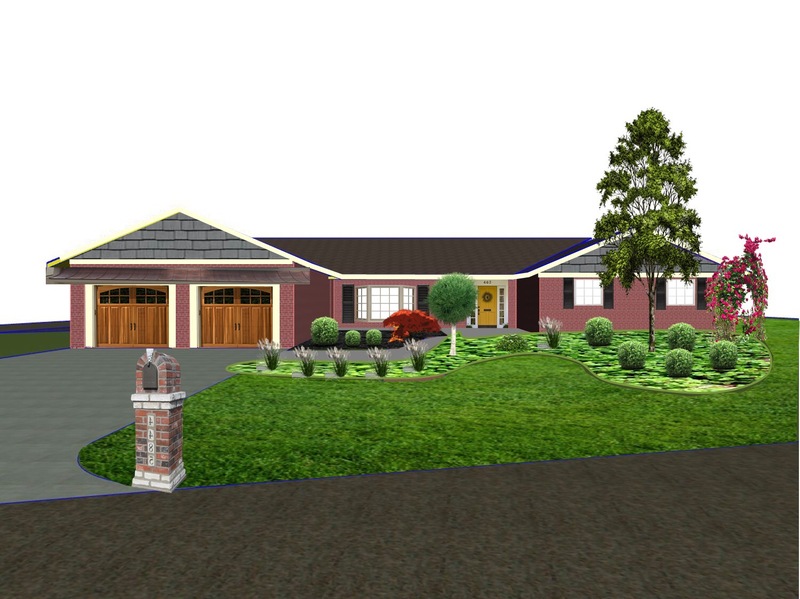 The garage doors will face the front of the house,creating a safer exit from our driveway. We pulled the trigger and our contractor broke ground last week. In under a week he got an excavator in, foundation footer poured, brick removed from the existing garage, and today the guys laid all the cinder block. By the end of the week we should be all framed up and hopefully under a roof!